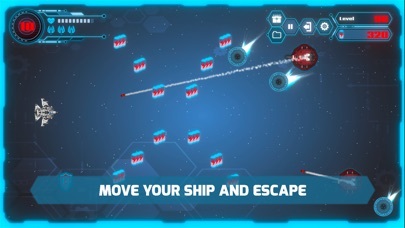 Avoid dangers and have fun testing your reflexes and strategy while piloting the Uldur ship through a dark world full of enemies, dangers and threats that in 12 seconds will try to destroy you and prevent you from saving your family. 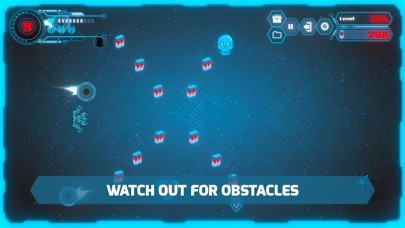 In this spectacular indie game live your own unique adventure as in each game you should shoot, dodge balls and obstacles, knock down enemies, collect energy capsules and use different weapons to overcome an endless number of frenetic levels full of difficulties. You have to be fast and run to prevent the countdown from ending your particular war, remember that only the strongest will survive… The countdown has begun. Year 2235. Humanity has adapted its society to a planet lacking of resources. Devastated by a drastic climate change caused by the impact of a large asteroid, the skies drowned and were deprived of sunlight. The survival of humanity goes through energy. This has become the currency to get light and heat, as well as food. A privileged minority is organized into dynasties ruled by the Nagul council. They are whole families that control most of the resources and for which getting energy is as easy as pressing a button. However, the rest of the world must fight to survive in this dark world. Inspired by ancient Rome and with the goal of having fun, the Nagul invented a dangerous game in which the ordinary people can participate as a last chance to obtain, in case of victory, the precious currency. 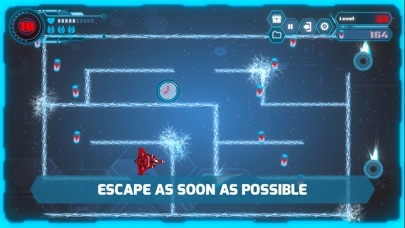 In a frantic race to get energy capsules, only a few heroes decide to voluntarily participate in the Kaladhras Game. This means dealing with assaults against the clock in an inter-dimensional battlefield, in which there are continuous attacks by holographic assassins and all kind of dangers. The problem is that… ... one rarely survives. You are Uldur, a natural born fighter and a man of challenges that will help his family by risking his life in the Kaladhras Game. Just armed with his ingenuity and skill, he will guide his spaceshift to overcome all dangers and achieve the desired energy that will save the lives of the most precious people for him.. It's you against the Nagul, only the strongest will survive! 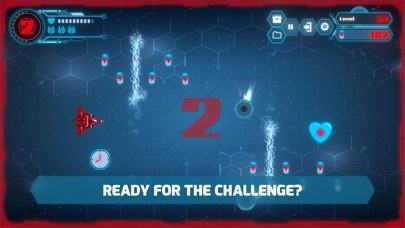 12 Seconds Challenge features: •	Elegant and high resolution graphics. •	Simple controls activated with your finger. 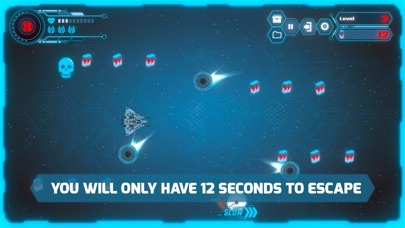 •	An endless and incredibly entertaining game. •	Each game is unique and different from the others. •	Countdown function. •	Motivating and stimulating music. •	Save/full charge function. •	Brilliant realization and innovative gameplay. 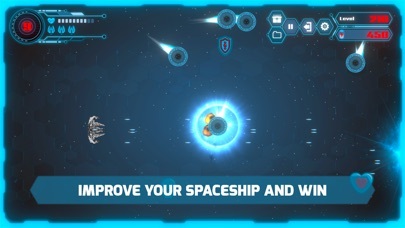 •	Powerful ships, powerups and improved artifacts that will allow you to overcome stimulating levels. •	Rankings to see the score of your friends and competitors. 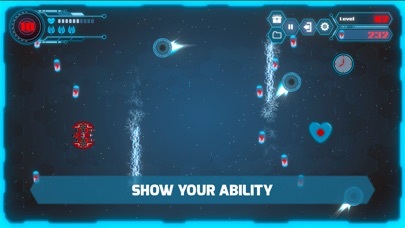 •	Quick decision making while dodging and shooting along each level. Available languages: spanish and English. More information: www.seadreamsgames.com Visit our videos on Youtube: www.youtube.com/seadreamsgames Give us a like on Facebook: www.facebook.com/seadreamsgames Follow us on Twitter: www.twitter.com/seadreamsgames and Instagram www.instagram/seadreamsgames Enjoy playing 12 Seconds Challenge!